In a study conducted by Information Services Group (ISG), a leading global technology research and advisor firm, Unisys has been recognized as a market leader in Cloud Services for Infrastructure as a Service (SaaS). 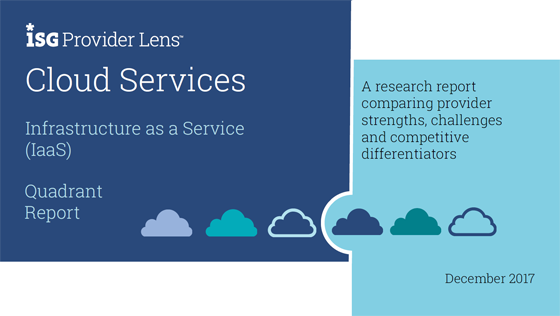 The ISG Provider Lens™ Digital Cloud Services Quadrant Report evaluates 45 public cloud providers serving the market across six quadrants. Unisys has long been a global information technology company and was recognized as a “Leader” by ISG in Infrastructure as a Service capabilities. Unisys’ recent focus on complex hybrid environments has yielded wins outside Unisys’ traditional/historical client base.